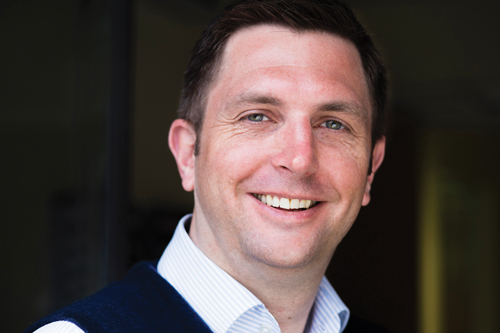 Matthew Harrison is the Operations Director at CIA Fire and Security, Gloucestershire. The company specialises in security systems, fire alarms and gate automation and is accredited to NSI Gold, NSI Fire Gold, ISO 9001:2008 and BAFE SP203. We work closely with manufacturers for technical training and to get the latest updates, however we have a long standing relationship with the distributor Enterprise Security Distribution to supply our products. Third party accreditations are definitely beneficial to us as a company and, most importantly, to help offer the client piece of mind that we have achieved certain standards. Accreditations like NSI, BAFE, SSAIB etc. create a strong brand and guidance throughout the industry. The difficulty often comes when you step outside industry specific accreditations such as Health and Safety etc. There are so many different options and you can be asked for different ones from different clients. You are then faced with trying to get them all or turning away work. A typical project would be very hard to define for us as they all vary. We install all types of systems which can range from a basic intruder alarm system in a four bed semi to a high end system that integrates intruder, fire and access control system for a large commercial property. We have a process to follow for all clients regardless of size. Firstly we survey the property and ask several in-depth questions to gain a deeper insight of the client’s specific needs. During the survey we advise the client where we would install certain aspects of the system and what equipment will be used. Following the survey we send out a quote based on the client’s needs. Once the price has been agreed and the contracts signed we then install the system exactly to the client’s requirements. Do you think there is a skills shortage in the industry? Any trouble recruiting installers? There is a major skills shortage within the industry. It can be difficult to recruit fully qualified engineers, which is why we believe it is best to recruit apprentices and train them up to become the engineers we need. This past year we have participated in the 100 in 100 campaign which is a fantastic initiative to get more companies to recruit apprentices and entice young people into apprenticeships. Managing client expectations is the biggest challenge we face, living in an age where everything is instantaneous means people want everything done now. We maintain a high level of customer service and believe that our personal approach to clients sets us apart from others. From a business perspective it would have to be that callouts are a great source of income. Although you can charge the client for a callout, they can actually become a drain on resources. For example if one of our engineers gets a callout at midnight, not only do we have to pay him extra but we also lose him for half a day the next day. Losing one engineer for half a day doesn’t seem like much but that is half a day of billable hours where he could be working on site. From the public’s perspective – The outdated notion of people thinking nobody listens to alarms when they go off. This is untrue as there is a lot going on behind the scenes that many are unaware of such as police response, keyholder response, action from the monitoring centre etc. Having a plethora of skilled engineers. As mentioned before there are not enough skilled engineers in the industry, having more of them available would increase productivity drastically. It would mean that we would be able to respond to callouts quicker and carry out maintenance on more systems per day. It also means we would be able to take on a heavier workload. My fantasy security product would be a wireless detector that could be installed in a building within seconds and provides no false alarms. Certainly not in my lifetime. I would take my whole team and their families on a weekend break.